Armed with a Vulcan Lirpa, a pon farr consumed Spock is forced to battle Kirk to the death. My first experience with anything closely related to the popular Star Trek episode “Amok Time” was Jim Carrey’s Medieval Times fight sequence in the 1996 movie The Cable Guy. Back then, I found the scene highly entertaining–especially with Jim’s apt rendition of the Star Trek episode’s climatic background music–but the core of the bit/homage escaped me. Then I finally got a chance to watch Amok Time and at that very moment–everything made perfect sense. In this episode, we got to see the dynamics between Kirk, Spock, and McCoy, the home planet of Spock, a literal dance of death known as kal-if-fee, and of course, the intricacies of the Vulcan mating ritual known as pon farr–the plot device that led the crew of the USS Enterprise into Vulcan airspace. What was only meant to be a simple inquiry–well, more of a comment actually–on the Starbucks Reserve Christmas 2018 Coffee Card suddenly took a life of its own when I was handed several by a Good Samaritan. I have always admired the Coffee Cards from a distance, but never ventured to inquire about them as I immediately assumed that the only way I could get one would be to purchase a bag of coffee beans[i]. So the question now is: Do I actually take the time to find the most “economically viable” way to get the rest of them? 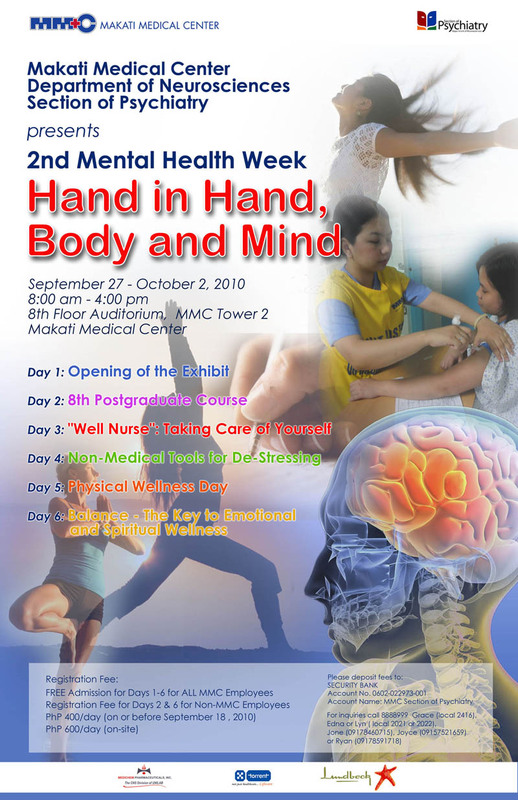 Recently, a representative of the Makati Medical Center – Department of Neurosciences, Section of Psychiatry has asked me to exhibit several of my photographs during their 2nd Mental Health Week which runs from September 28 to October 2, 2010. The exhibit hopes to showcase a variety of works from a number of artists and photographers including several paintings from my mom, Dra. Ma. Teresa Gustilo-Villasor as well as four of my own “Terminator” themed photographs. The eclectic-themed exhibit will be held at the 8th Floor Auditorium, MMC Tower 2 of the Makati Medical Center from September 28 till October 2, 2010. One of my best memories of Terminator 2: Judgment Day is when Miles Bennet Dyson, Director of Special Projects at Cyberdyne Systems Corporation and a young lab assistant named Bryant look at two separate sealed containers inside a vault at Cyberdyne. The smaller of the two containers is home to a domino-sized rectangular chip. 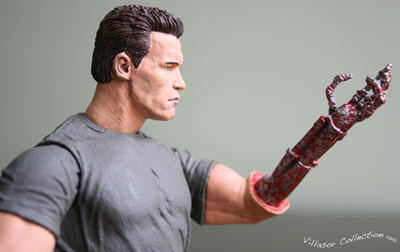 While the much larger container features a metallic forearm and hand…the remnants of the terminator which Sarah Connor destroyed in Terminator (1984). Hey, it’s not everyday that you find out you’re the man most directly responsible for Judgement Day. Perspective shots of the T-800.